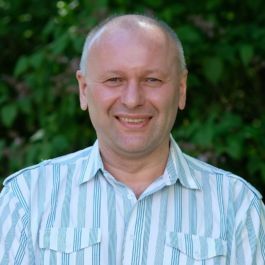 Together with his group, Yakov focuses on soil biogeochemistry with long-term and deep expertise for processes of C and N cycles, priming effects and nutrient mobilization. His special interests are in soil – plant – microbial interactions in soil hotspots – locations with very high activity and abundance of microorganisms like rhizosphere, detritusphere, biopores. Yakov groundbreaking works are in the fields of rhizodeposition, fate of low molecular weight organic substances in soil, priming effects, visualization of enzyme activities, and localization of root exudation. These processes are studied depending on land use and soil degradation, as well as such global change components as temperature, drought, elevated CO2 in the atmosphere. Yakov group made a number of innovative studies to pedogenic carbonates, biochar stability, competition of roots and microorganisms for nutrients, effects of plant photosynthesis on CO2 efflux from soil. The applied studies are focused on C sequestration, soil fertility improvements, and reforestation effects. To investigate these processes Yakov group use a broad range of stable (13C, 15N) and radioactive (14C, 33P, 137Cs) isotopes applications and combine them with biomarkers (PLFA, amino sugars, neutral sugars) as well as microbial activity parameters (enzyme and respiratory activities, microbial growth rates).